Christmas is over but there’s still remnants left. There’s a bag of crumpled wrapping paper tucked behind a stool in my living room. The lights still twinkle on my decorated tree and there’s a few cookie crumbs on a plate sitting next to me on my dining room table. My fingers click away on my laptop amid all the signs of the Holiday and my thoughts drift back to when my living room was full of chatter and laughter just days before. Family gathered around our decorated home on Christmas to share a meal, share gifts and share memories of years past. Lots of the memories hang from the branches of our Christmas tree. 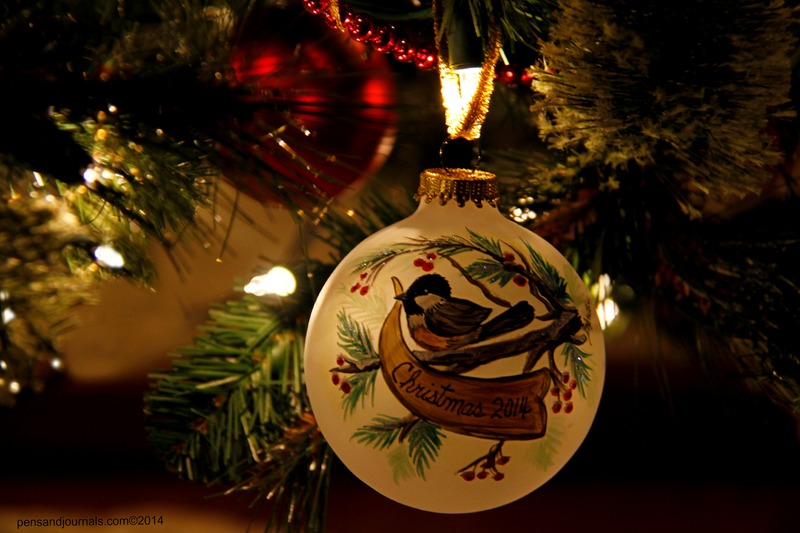 It’s always fun to look at the ornaments and recall the memory attached to each one. And finally we shared an indoor snowball fight with a pail of forty synthetic snowballs. I think the best purchase, hands down, that I made this year was that pail of indoor snowballs. They actually feel like the real deal minus the cold. I grabbed one and threw it at my son. Startled he sat back in his chair, smiled and said, “What? Are those snowballs?” Then came the laughter while snowballs, being tossed at one another, filled our living room. In those moments, watching, listening, observing nothing was wrong and all was right in the world. A few days before Christmas, I was making my mom’s traditional date nut bread–a recipe that she handed down to me. As I mixed the batter, I watched a couple of neighbor boys, through my kitchen window, playing catch in the street. As they threw the ball their dog ran along side it trying catch it in his mouth. The sun was shining, it was 45 degrees and they didn’t have jackets on. It’s unusual in this area to have such mild temps at this time of year. What’s even more unusual is seeing kids running and playing outside at anytime of the year in this electronic age. As I watched the game outside and prepared the nut bread, my thoughts went back in time–a time that seemed a little simpler–with my mom baking the bread and the streets filled with kids throughout the neighborhood and usually in the snow at this time of year. Being inside the house for too long, wasn’t that common back then for kids. …and I think to myself it’s a wonderful world… and I hummed it for the rest of the day. The hum carried on through Christmas and there was nothing wrong in my world. We’d like it to stop. We’d like to see peace on earth and good will toward men. Christmas began in the manger but it didn’t end there. When we put away Christmas, let’s not put away Jesus. That’s where hope starts. That’s where love begins. That’s where joy originates and that’s where peace flows. 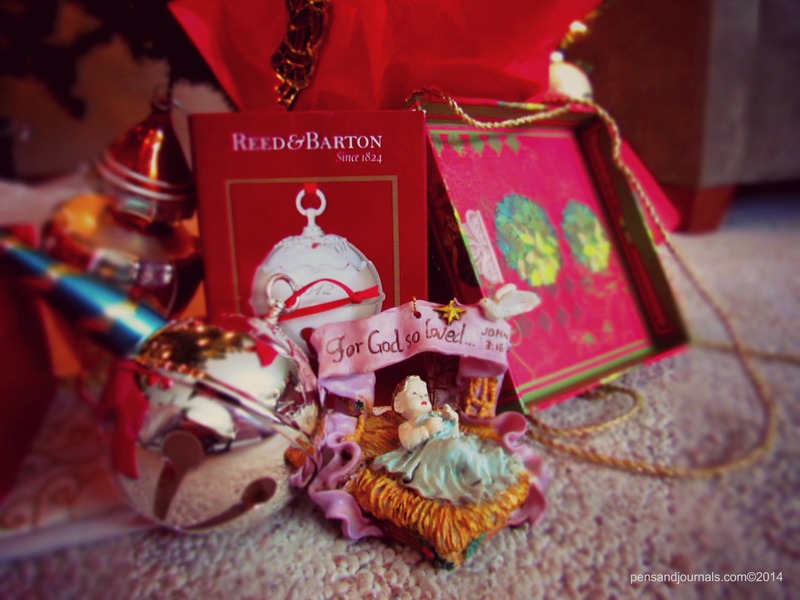 Among the chaos of the world, that little child in the little manger brought us God. And He brought us the potential, through our dependence on Him, to have peace on earth and extend good will toward men and women. It can only begin one heart at a time. May we embrace it. Embrace Him. And in the midst of it all find joy in the little things in life–like those blessings mentioned in the song, “It’s a wonderful world” because the little pockets of joy that we find in the chaos of life are really the big things.